Cody Simpson To Perform On ‘Good Morning America’ This Friday! Be sure to tune to Good Morning America this Friday to see Cody perform live! 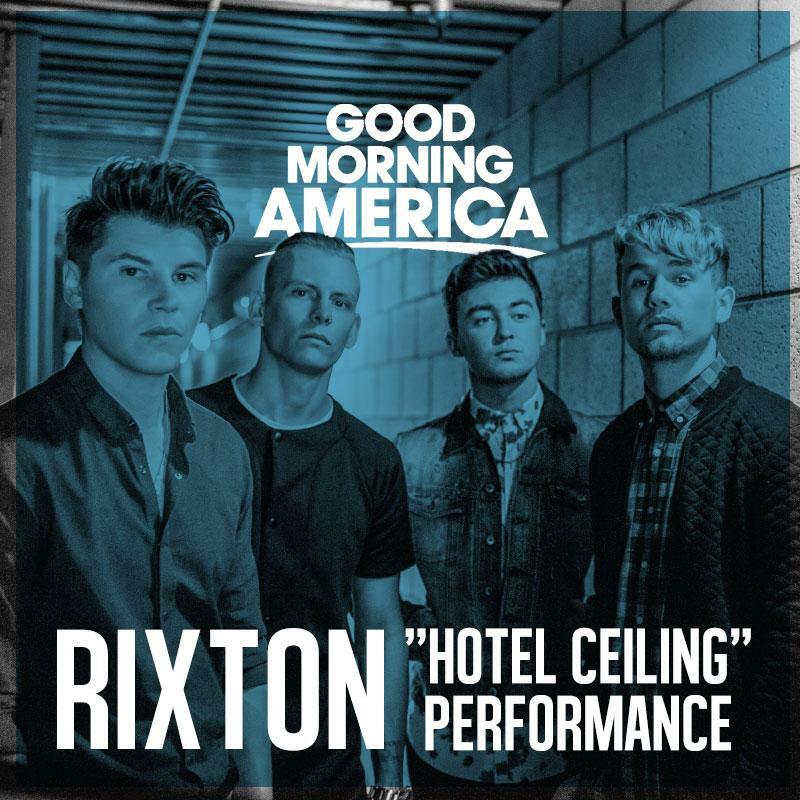 Rixton Performs “Hot Ceiling” Live On ‘Good Morning America!’ – Watch Their Performance Here! The guys of Rixton – Jake, Danny, Charley and Lewis – owned the stage during their performance of “Hot Ceiling” live on Good Morning America on Tuesday morning (January 6) in New York City. The official music video for their latest single will be coming shortly! Rixton is currently getting ready for the release of their debut album called Let The Road which drops on March 3, 2015! Be sure to check out Rixton’s performance of “Hot Ceiling” by watching the video below! R5 Performs “Smile” On ‘Good Morning America’ – Check Out Their Performance Here! Be sure to check out their performance by watching the video below! Fifth Harmony Performs “Sledgehammer” On ‘Good Morning America’ – Watch Here! In case you missed their performance, be sure to check it out by watching the video below and let us know what you think by commenting! Taylor Swift Makes An Appearance On ‘Good Morning America’ – Pics & Vid Here! Taylor Swift stopped by Good Morning America to make an appearance on November 11th. Taylor chatted about her new music video for “Blank Space.” We love her black and silver dress and red heels that she rocked for her interview! Taylor was all smiles as she waved to fans and photographers waiting for her outside of the New York City studios. Check out more photos of Taylor on “GMA” below as well as a video of her interview below! 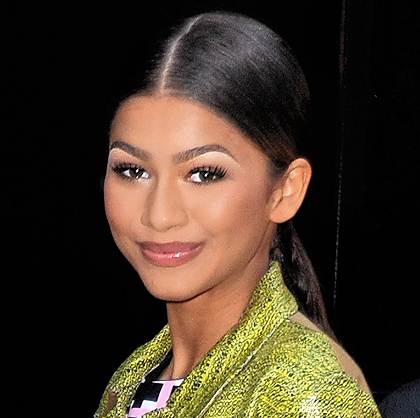 Zendaya Coleman Gorgeous In Green At ‘Good Morning America’ – Pics Here! Zendaya Coleman started October 27th off in style as she arrived to the set of Good Morning America in New York City, NY. Zendaya looked gorgeous in a bright lime green coat with a black, pink and white dress, black leggings with matching heels. Zendaya was all smiles as waved to the excited fans who couldn’t wait to see her. It’s official Swifties, Taylor Swift‘s new album ‘1989’ has been released!! Taylor headed to ‘Good Morning America’ in New York City on October 27th to celebrate the big day. Taylor looked lovely in blue as she waved to her adoring fans who were waiting outside the studio for her. Taylor had a quick change into a chic black dress for her live interview in which she discussed the excitement for her new music and more.